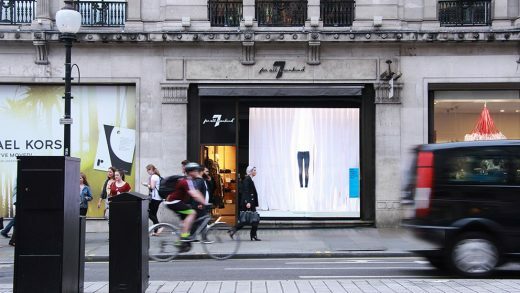 KSR Architects has collaborated with the premium LA denim brand, 7 For All Mankind to create a stunning Regent Street Shop Window that pays homage to the company’s effortless beauty and lifestyle image. 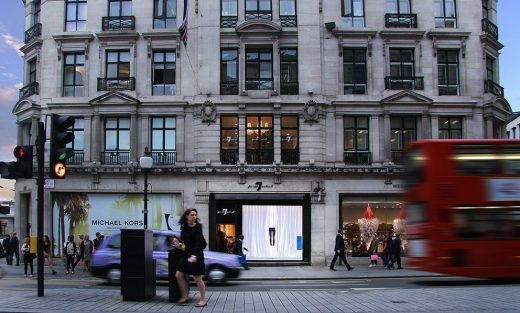 The shop window is part of the RIBA Regent Street Windows Competition that matches cutting edge RIBA architects with some of London’s most prestigious retailers to create stunning architectural installations in shop windows along London’s famous Regent Street. 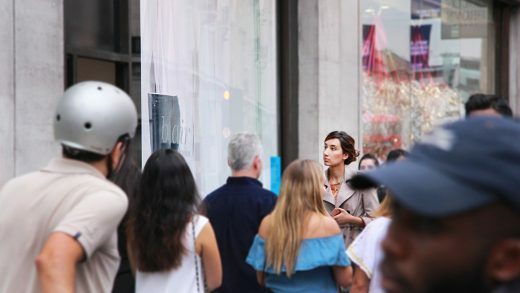 KSR Architects worked closely with contractors KTBS Ltd on the design and the display lighting with Lighting.London to create a simple and elegant installation made from 300m of gently moving fabric to form a cloud-like forest. 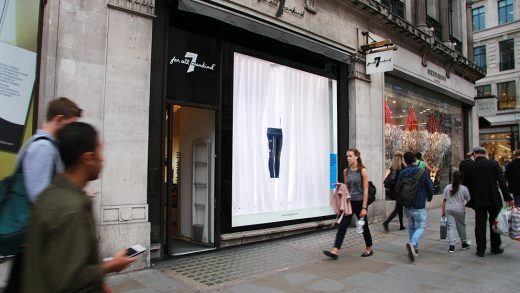 The forest parts like a stage curtain to unveil 7 For All Mankind’s brand new b(air) jeans miraculously levitating in the centre of the display. 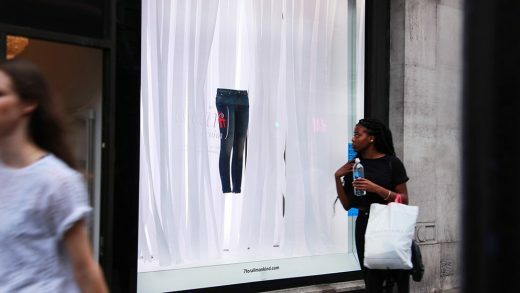 The window installations will be up for three weeks from 5-25 September 2016 and will coincide with both London Fashion Week (16-20 September) and the London Design Festival (17-25 September). 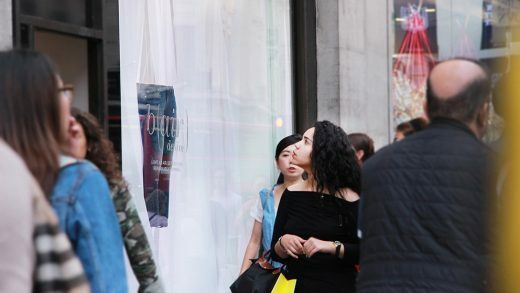 The 10 x RIBA Regent Windows are being judged through ‘The People’s Choice‘ award , which is now open to receive votes until midnight the 18 September, the winner will be announced on the 19 September. KSR is a highly creative design-led practice based in Camden Town, London. We have an established reputation of over 30 years’ international experience, expert craftsmanship and a highly creative approach to our design briefs through a variety of fields. Our creative designers and energetic studio has a proven track record for bringing ambitious, inspiring designs through to successful realisation. Our approach involves collaborating closely with teams of specialist consultants, contractors and suppliers to provide a bespoke service and ensure the realisation and seamless integration of every design element. In turn demonstrating exceptional innovation and quality in all our design solutions.